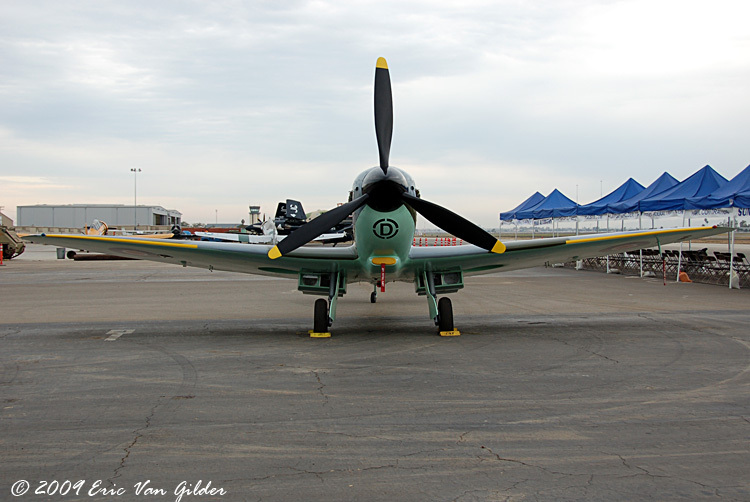 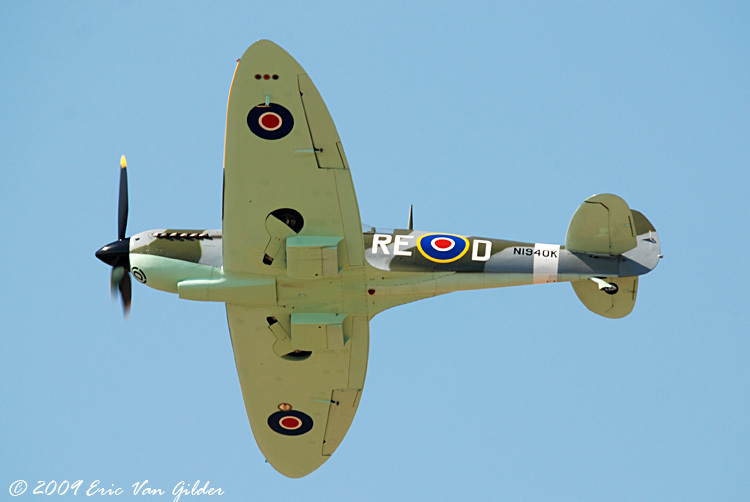 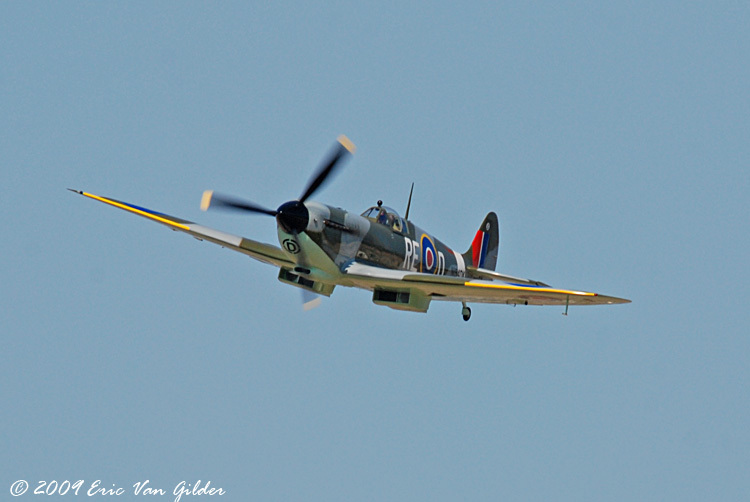 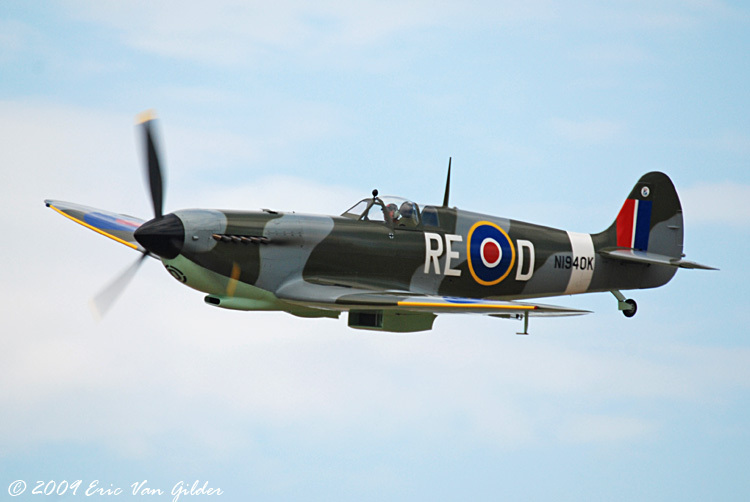 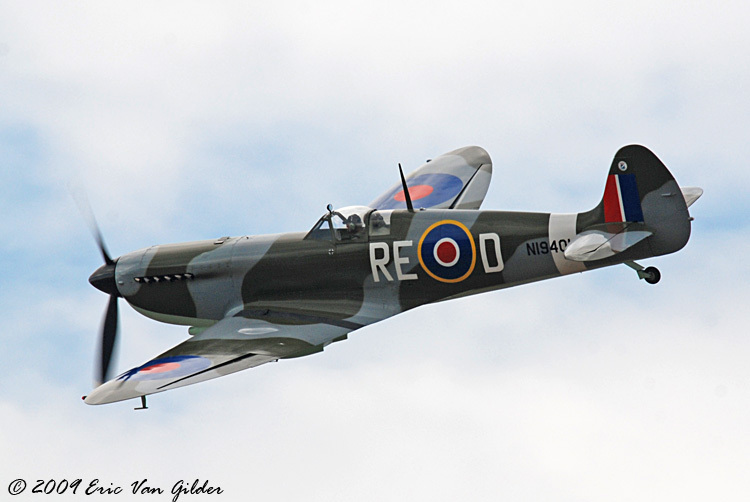 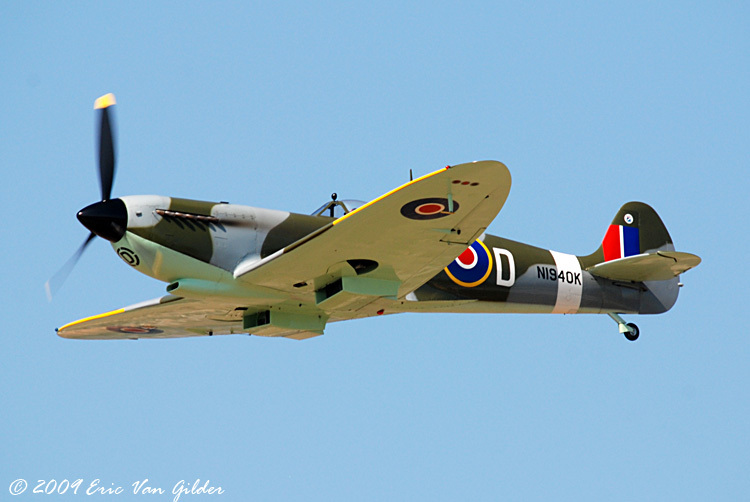 This Spitfire is a full-size replica with an Allison engine. 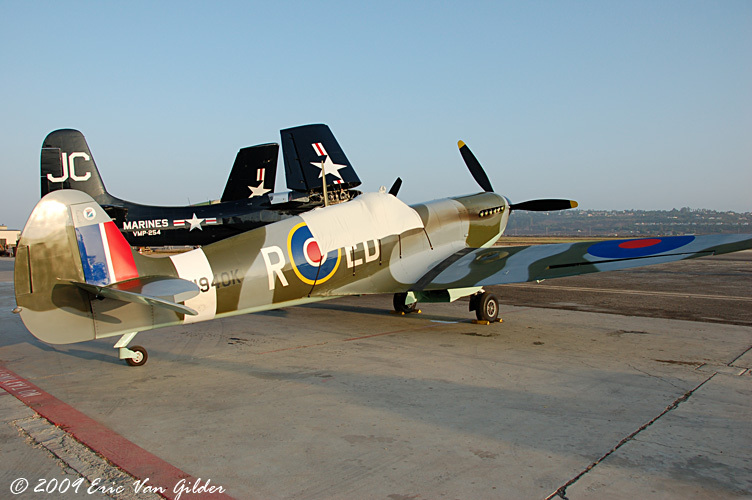 It was built in 2000 and received it's airworthiness certificate in 2003. 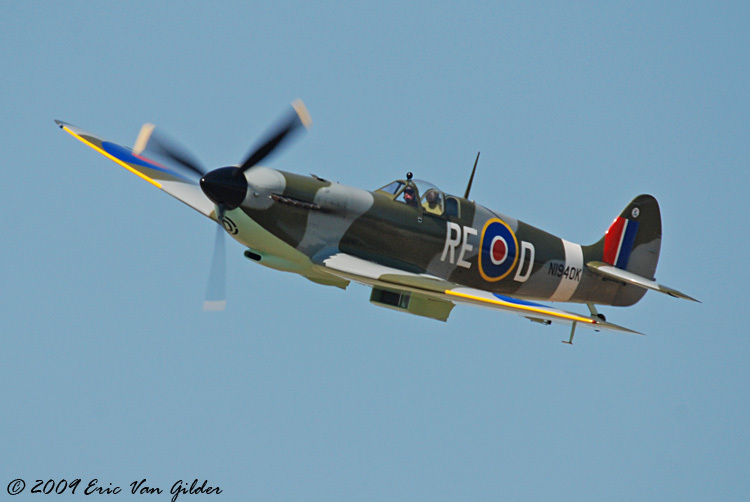 The craftsmanship on this aircraft is superb and the engine sounds like a Merlin when in flight.